Patients with pneumonia admitted to intensive care have lower rates of in-hospital mortality when they receive early rehabilitation, researchers say. Rates of mortality were almost 18% for those who received rehabilitation within two days, compared with almost 22% for those who did not, the Japanese study found. Community-acquired pneumonia is one of the most common infectious diseases and can be fatal. The benefits of early rehabilitation in intensive care units are known, but the association between early rehabilitation and in-hospital mortality had not been studied. 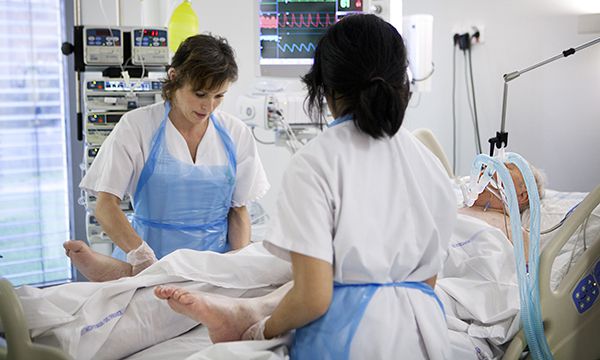 Rehabilitation in intensive care units generally involves encouraging early mobilisation as well as range-of-motion and muscle-strengthening exercises, and respiratory physiotherapy. Researchers carried out a retrospective observational cohort study using a national database of patients with community-acquired pneumonia admitted to intensive care units in acute hospitals in Japan from July 2011 to March 2014. More than 970 people who received rehabilitation within two days were compared with an equal number who did not. The early rehabilitation group had significantly lower in-hospital mortality, but the groups did not differ significantly in intensive care unit or hospital lengths of stay or in total costs of hospitalisation.